Gardening provides a fun and creative outlet for central Virginians and a great reason to get outside for fresh air and exercise. 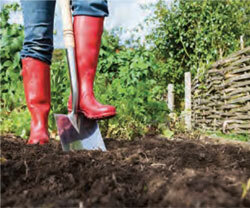 While some enjoy gardening as a hobby, others are motivated to save money and integrate a healthier diet and lifestyle. It may be cold outside now, but spring is just around the corner. This is the time for gathering seeds and supplies and planning for a fabulous and functional kitchen garden you will enjoy in months to come. The wide selection of gardening tools and supplies available at local gardening and home centers can be overwhelming; it is helpful and wise to take the time to imagine the perfect kitchen garden for your home. 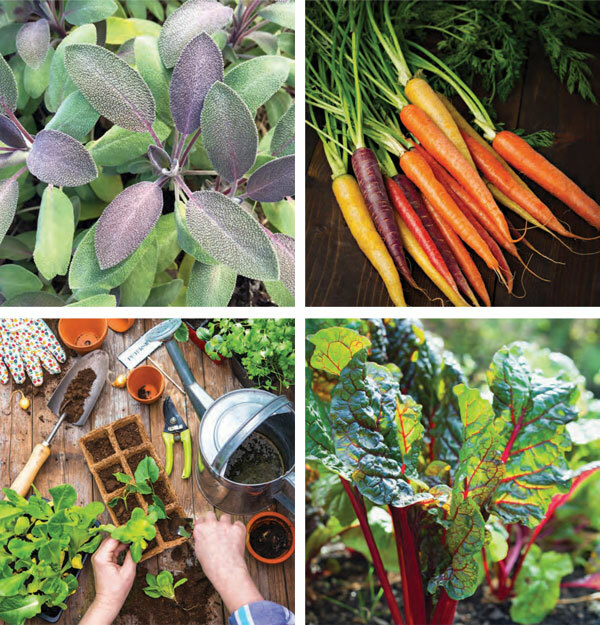 Whether your vision calls for a full-scale backyard garden or a small variety of plants in a few containers, there are plenty of vegetables and herbs that grow nicely in the yard, on the patio and even inside, on a sunny windowsill. Raised beds or container gardens? 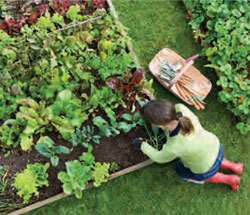 If limited real estate for your plot is not an issue, building raised garden beds is a great idea. Raised beds are essentially large garden planters—often simply-built frame boxes of wood or composite— constructed above ground at whatever height works best and filled with rich soil. Gardening in raised beds offers many benefits, including fewer weeds, greater control over soil quality and easier dominance over unruly plants growing wildly. Raised beds are typically four feet wide by eight feet long; while the depth of the bed depends on what and how much is planned for the box, it is safe to start with at least 12 inches of soil. If space is tight, the container garden route might work better. This approach can be fairly straightforward and doesn’t need fancy tools and garden gadgets. A collection of containers that vary in size, shape and materials add interest to the garden. Plastic pots are the most budget friendly and, in many ways, least complicated to deal with. Plastic is light, easy to move around and retains more moisture than containers made of organic materials. Also relatively inexpensive, clay pots offer more visual charm, drain well and allow enhanced air flow, encouraging young roots’ breathing room. Finally, if you have space on your patio, small and mid-sized wooden boxes are also nice and offer a lovely, rustic feel to enhance outdoor living. Varieties of potting and gardening soils are plentiful at home improvement stores and garden centers; do take care to read ingredients labels carefully, to make sure that the soil you purchase is right for the plantings you envision. In addition to standard gardening soil, added compost is helpful in beds, as is peat moss in containers. For beds, the ratio of soil to compost depends somewhat on the size of the bed, but for most, a blend of 60 percent topsoil, 30 percent compost and 10 percent potting soil will do well. Container gardens need well-aerated soil that drains efficiently. For starters, a mixture of one part garden soil and one part peat moss to your potted herbs and veggies should do the trick. Here’s where the garden project comes to life! It’s fun to choose herbs and vegetables that are appealing to the eye and delicious to the palate. Most staple vegetables and herbs can thrive in a raised garden bed, especially root vegetables—carrots, beets, radishes and parsnips. These do particularly well in raised beds, which offer greater control over soil conditions and pesky critters. Greens grow well in the controlled environment of a raised bed, as do onions, tomatoes, potatoes, peppers and cucumbers. Most herbs will also grow well in a raised bed; some are even helpful for companion planting with vegetables. 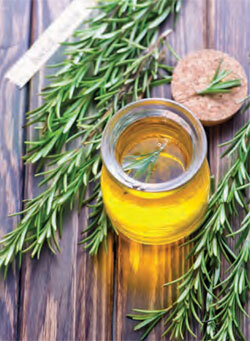 Popular kitchen herbs include basil, oregano, thyme, rosemary, peppermint, parsley, chives and dill. While options are a bit more limited with container gardens, there are plenty of herbs and vegetables that can thrive in pots on your patio or in your windowsill: tomatoes, peppers, salad greens, arugula, even cucumbers. 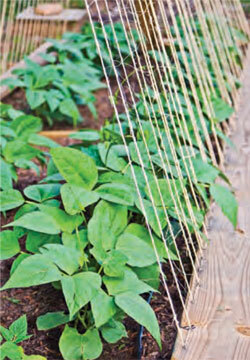 For container-grown cucumbers, tomatoes and the like, a trellis can be helpful to make the most of available space and grow plants vertically. 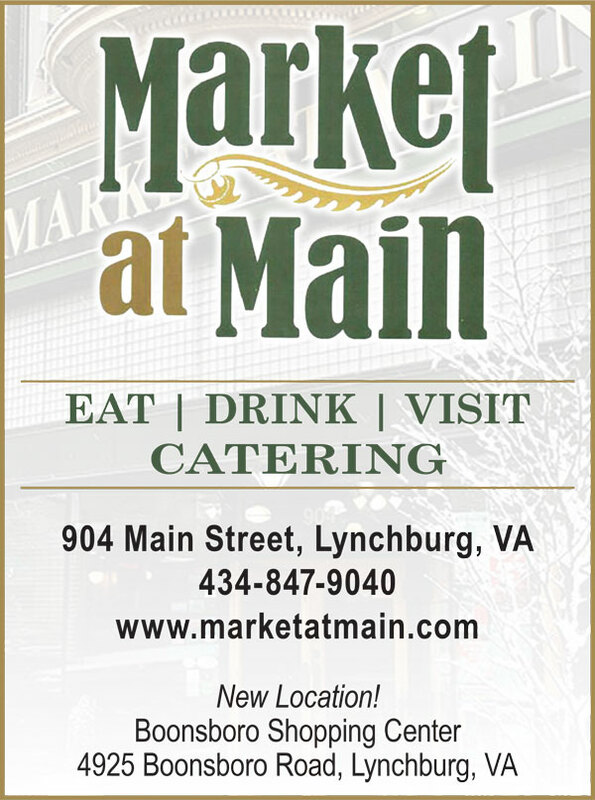 Herbs that thrive in planters inside or out include basil, various types of mint, rosemary, thyme and dill.